This site are the fault of this ugly bugger to the left. Graeme has lived in Arthur's Pass for the past 25 years. 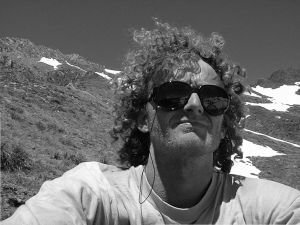 His passion for both Arthur's Pass and it's mountains led him to design and maintain these websites. He receives no financial reward for either, and attempts to edit both "without fear or favour". He will more than likely be the guy who answers your email enquiries, so please be a little patient as he "almost" has a life, but you will receive a answer.